Cllr. Pauline Cowper introduced herself as the new Chair of the meeting and welcomed everybody to the meeting. Approximately 16 residents attended, as well as 10 councillors, and officers from the council and its partners. Councillor Alambritis announced that on Tuesday 6th November, between 4 and 6pm, everyone is welcome to visit the brand new Morden Leisure Centre, for its soft opening. He thanked Pellikaan, the construction company, for their work on the project. Finances across local government remain stretched and Merton is no exception. The latest Medium Term Financial Strategy shows that there is a budget gap of £19m from 2019/20 to 2022/23. This will be met through a mix of savings and income generation. Much of the cost pressures relate to Adult Social Care where the Council has a statutory duty to provide for some of the most vulnerable people in Merton. The Council has invested an additional £9m in Adult Social Care to help meet these challenges. Children’s Services, where the Council is a corporate parent to 135 children and young people, are also a high priority. The recent Ofsted inspection found that the Council was good with outstanding features and one of the top ten authorities in England for children’s services. 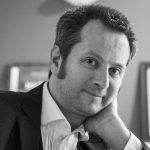 Working in partnership with other boroughs has also helped reduce costs: Merton leads a legal services partnership on behalf of four other boroughs; shares regulatory services like licensing across three boroughs; and has even let out three floors in the Civic Centre to colleagues in the NHS. Renting out parks has also brought in additional revenue but can cause residents concern which the council is sensitive to. The new dementia-friendly library in Colliers Wood was recently short-listed for the 2018 Library of the Year award. The Council has created an additional 4,400 extra primary school places since 2010 by extending 23 schools, and a new secondary school, Harris Wimbledon, has opened in the former adult education site at Whatley Avenue, with adult education now being delivered by Merton College. The school will then move to a new building on High Path in South Wimbledon for the 2020 intake. There are now 15 outstanding schools in Merton, including most recently Harris Morden, a school which had previously rated as inadequate. The Council’s School Improvement Team continues to work across the borough to support schools. In last year’s GCSE results Merton had the highest scores for the Progress 8 school which measures progress from Key Stage 2 to Key Stage 4. There a number of important regeneration projects underway. Clarion Housing is investing £1billion in improving three estates, that will result in better quality homes and no loss of social housing. The More Morden regeneration is back on track. Councillor Alambritis paid tribute to the Conservative Group, which kick-started the project. On Plough Lane, work is progressing on the new football stadium for AFC Wimbledon. The club will hopefully move in for the 2020/21 season. There will also be 600 new homes, at least 30% of which will be affordable. There is to be a new national health centre called The Wilson, which will address matters such as mental health. Work is ongoing on Mitcham Town Centre, in conjunction with TfL and work on the Wimbledon Masterplan also continues. On 1st October, a new waste system was introduced, with wheelie bins for residents. It is hoped the new system will increase recycling rates, bring cleaner streets and bring savings of £1.6m in the first year and more thereafter. The new service was not radical in any way but based on successful schemes used in councils across the country and shared with three of our neighbouring boroughs. Asked about the possibility of a concert hall in Wimbledon, Councillor Alambritis explained that the car park covenanted to Morrison’s comes back to the council next year, so there is a possibility of a concert hall being built there, if it can be demonstrated as viable economically. A resident asked about leaf-sweeping in Autumn and why the wheelie bins are different designs. She also asked what is being done about residents receiving the wrong leaflet and wrong bins. Councillor Alambritis apologised for the errors in the new waste system and said the council has impressed upon Veolia the need to rectify these mistakes. There has been a big demand for food waste caddies. Veolia should be doing everything they can to clear the leaves away. It will take time for the system to settle down and run smoothly. The bins can be different designs, as long as they can fit onto the trucks. The new trucks, which belong to the council, are state-of-the-art, with cameras on all sides for safety and to ensure collection is being done correctly. A resident questioned the proposed location of Harris Academy, saying it has been identified by the Mayor of London as a very polluted site. Councillor Alambritis agreed that there are air quality issues throughout the whole of London. A paper on the proposed site will go to the planning committee, who will need to be satisfied that the air quality is acceptable for a school to be situated there. Schemes around trees, fencing and which way classes face can also be implemented to help address the matter. Air Quality is taken very seriously by Merton Council with a new Air Quality Action Plan. A levy on diesel cars has been introduced as well as increasing the number of electric charging points. On building height for the Wimbledon Masterplan, direction is taken from the Mayor of London and is based on density policy. Christine Parsloe, Leisure & Culture Development Manager at the council, updated residents on the new leisure centre development. She encouraged everyone to come to the launch on 6th November and try out the new pool and the café. The diving facility has been installed too, along with the fitness suite and a studio/community room. Feedback on the appearance of the new centre has been positive. Pellikaan completed construction 16 days early and Greenwich Leisure have now moved in to fit out the building and train their staff, whilst still running Morden Park Pools. It is proposed that Morden Park Pool will be closed at noon on 6th November, before the new Morden Leisure Centre is opened to the public at 4pm. Car charging bays have been installed for electric cars and parking controls will go out in the next few weeks, in particular to ensure disabled bays are used appropriately. Demolition of the old pools will start around the 13th November. Once demolition is complete, the land will be returned to open space, to compensate for the footprint the new site has taken. A newsletter providing an update will come out shortly. A silent auction will be launched online on 12th October for people to bid to be the first to swim in the pool. Proceeds from the auction will go to the Mayor’s charities. Asked whether the council will be working with Merton CCG and Public Health to encourage all our communities to use the services, Chris said this is already done at Merton’s other centres and in time will also be done with the new centre. It is hoped what has been created at the new centre will encourage everyone to come and use the facilities. Chris also mentioned the Fireworks displays in November, encouraging residents to buy their tickets in advance online. Also, on 11th November from 6.30-7.30pm, there will be a commemoration for the end of WWI at the Civic Centre, which residents are encouraged to attend. 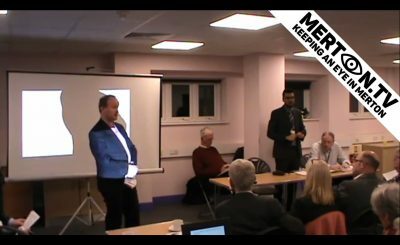 Abbas Mirza, the Community Engagement Lead for the Merton Clinical Commissioning Group gave a presentation on the Merton Health and Care Plan (see Appendix 1). After the presentation, Abbas asked for feedback from residents on NHS services they’ve liked in Merton and services that can be improved. Detailed feedback can be sent by email to abbas.mirza@swlondon.nhs.uk. GP access is being invested in to provide appointments at the GP hubs at the Nelson, Wimbledon and the Wide Way Medical Centre, Mitcham, with training being given to staff to help people to make appointments. 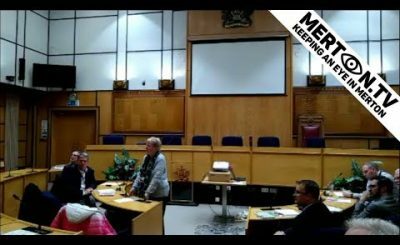 A working group is looking at improving Mental Health services across Merton. Asked about St Helier, Abbas said no decisions have yet been made about changes to the services. Councillor Alambritis added that Merton Council is working with residents and Siobhain McDonagh MP to make sure no services are reduced at the hospital. 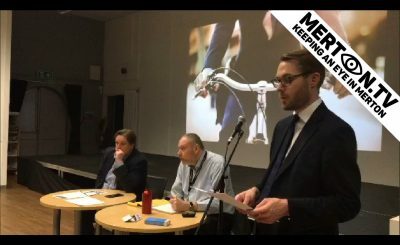 Jake Lister from Kanda, a public and stakeholder consultation company working jointly for the council and Transport for London on Morden regeneration, presented the results of the recent consultation that was carried out on the regeneration programme. Focus Groups were held in September 2018 with councillors and stakeholder groups where a series of design principles were looked at, including the Station Forecourt, Green and Open Spaces, and Type and Quality of the High Street. Further consultations will be taking place and anyone interested in further information can contact the team. Public Drop-Ins were held over 3 days with a series of high street stalls outside Sainsburys, Iceland and the Underground. These were held to gather feedback on what amenities the local community would like to see brought forward as part of the regeneration of Morden Town Centre, and to determine local priorities and aspirations for regeneration. The events were designed to gather data on areas of activity in the Town Centre and how the local community navigates through the Town Centre and to other nearby amenities. A number of different methods were used for gathering the feedback including a survey, maps for people to identify their routes into the town centre and areas they visit, and a board on which members of the public could identify what amenities they would like to see in the new town centre. The events were attended by over 150 members of the local community. The general consensus from attendees at the events was that there was a need for improvements to the Town Centre and that they generally welcomed the regeneration project. Members of the public believed that the green spaces in the borough and the public transport links were the most successful assets in the area. Many residents stated that they would like to see improvements to the existing retail offer of the Town Centre, with the aspiration that more independent, high quality shops be delivered as part of the regeneration. There was similarly an interest in nighttime uses, including pubs, bars and restaurants. Residents also ranked reducing traffic congestion as their number one issue for the town centre improvement. Eben van der Westhuizen, the project lead on the More Morden Regeneration project updated residents on the next steps. There will be public consultation on the draft Merton Local Plan over the next six weeks. The new Local Plan will hopefully then be adopted in early 2020, with phased works targeted to start in 2021. It will take approximately a year to procure a development partner. There are no detailed designs yet and these will only be worked up once a development partner has been appointed. When asked about funding for the project, Eben said that the council is submitting bids where possible. Asked for an update on the potential Tramlink extension, Eben said that from 31 October for about six weeks, TfL will run a separate consultation on this. The MoreMorden project has to accommodate any new tram route. A new project website will be launched in the next few months – hopefully before the end of the year. Until then, for updates, details can be found on the Council’s own website. Electronic newsletters are also sent out, which residents can sign up for. A resident asked what is happening with Dog Control Orders and also whether LB Merton looking to end the provision of adult education. On Dog Control Orders, there are still a few minor issues of detail to resolve such as details of wording of the Order and supporting maps to confirm. At that stage it should be ready to sign-off – it is hoped this will be in the next couple of weeks. Councillor Draper explained that the council will keep adult education going and is making improvements on it. Not all courses are sustainable and run at a loss, which is why the prices for them have to be put up. It is not possible to subsidise classes. 7.15pm, Thursday 28 February 2019, Council Chamber, Civic Centre.